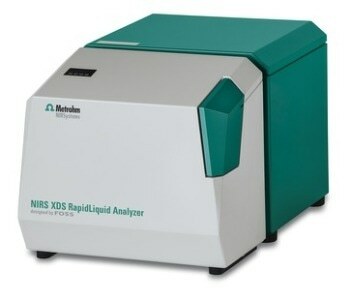 The NIRS XDS RapidLiquid Analyzer enables rapid, precise analyses of liquid formulations and substances. Precise measurement results at the push of a button make the NIRS XDS RapidLiquid Analyzer an equally reliable and simple solution for quality monitoring in laboratories and processes. The samples are transferred to quartz cuvettes designed for multiple use or disposable glass vials; a tempered sample compartment ensures reproducible analysis conditions and thus accurate measurement results.